Presents findings from surveys conducted in 2001 and 2002. Looks at how Internet users make decisions about what online health information to trust. 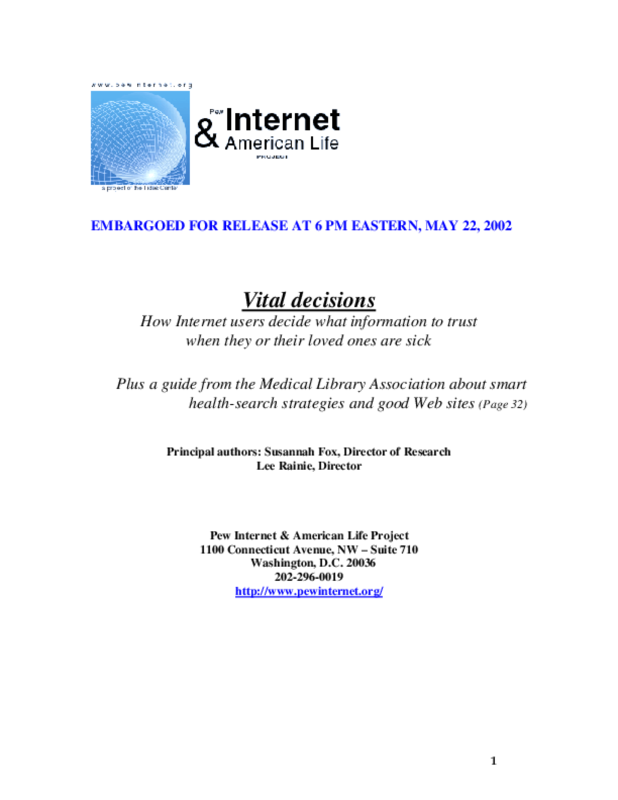 Includes a guide from the Medical Library Association about smart health-search strategies. Copyright 2002 Pew Internet & American Life Project.